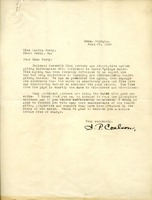 Willie writes to the Coalsons about a pheumonia case from at Harbin and how they believe that Radio springs water is excellent for kidney and stomach disorders. 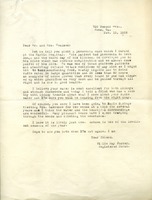 S.P. 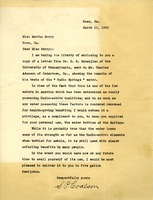 Coalson writes to Martha Berry enclosing information about Radio Springs water, suggesting that she take advantage of the "health giving properties and results" of the water, and offering to deliver a free sample.